AcclaimIP conserves screen real estate by opening new documents in existing Document Details windows. However, sometimes you may want to keep a patent open. AcclaimIP supports a window locking option. You can lock and keep open as many windows as you need. 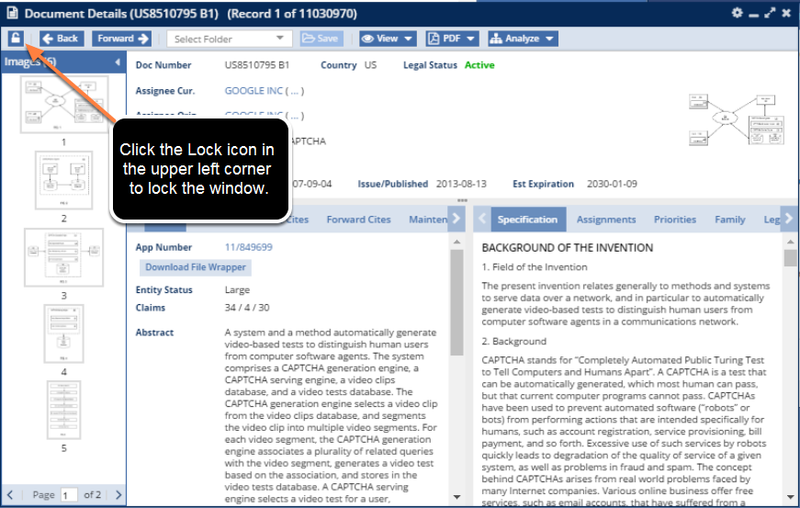 Click the lock icon in the upper left corner of the Document Details window to lock the window. The unlocked icon shown above will change to a locked icon. New documents will then load in a different window and the locked window(s) can be referenced side-by-side.